At RTX Austin, Rooster Teeth’s annual fandom convention, Gray G. Haddock, Head of Rooster Teeth Animation and showrunner for the upcoming anime-style series gen:LOCK, announced the Rooster Teeth voice cast for the show, and released a second teaser that features David Tennant voicing the character “Doc” for the first time. In gen:LOCK, Earth’s last free society is on the losing side of a global war, and recruits a diverse team of young pilots to control the next generation of giant, weaponized robot bodies known asmecha. These daring recruits will find, however, that their newfound abilities come at no small cost. gen:LOCK is the second anime-style series and third 3D animated series from Rooster Teeth Animation. Outlier Productions, Jordan’s production company, is co-producing gen: Lock along with Rooster Teeth. gen:LOCK will premiere in January 2019 exclusively on Rooster Teeth, available for iOS, Android, Xbox One, Apple TV, and at RoosterTeeth.com with memberships starting at $4.99 a month. Wizard World, Inc. continues its 2016 schedule with its fourth trip to America’s Center at Wizard World St. Louis, April 1-3. Doctor Who stars David Tennant and Billie Piper, Elizabeth Henstridge, William Shatner, Sean Schemmel, Steve Downes and Jen Taylor, Lou Ferrigno and Jason David Frank headline the roster of celebrity guests scheduled to attend the pop culture extravaganza, the fifth event on Wizard World‘s calendar of comic and gaming cons in 2016. Other well-known Wizard World St. Louis guests include YouTube celebrities The Hillywood Show and Chris 51 (“Epic Ink”). The event will also feature major gaming activations and an eSports tournament streaming stage. Wizard World is also the home of the most creative comics artists and writers on the planet. Artist Alley in St. Louis will feature Ken Kelly (“Kiss” album covers, “He-Man”), Phil Ortiz (“The Simpsons,” “Muppet Babies”), Billy Martin (“TMNT,” lead guitarist, Good Charlotte), Tom Cook (“He-Man,” “She-Ra”), Bob Camp (“Ren and Stimpy,” “G.I. Joe”), Clinton Hobart (Disney fine art), Jose Delbo (“Superman,” “Batman”), Andrew Griffith (“Transformers,” “Star Wars”), Rachael Stott (“Twelfth Doctor Year 2,” “Star Trek”), Guy Gilchrist (writer/cartoonist, “Nancy,” “Muppet Babies”), Danny Fingeroth (group editor, “Spider-Man”) and many others. Wizard World St. Louis show hours are Friday, April 1, 3-8 p.m.; Saturday, April 2, 10 a.m.-7 p.m., Sunday, April 3, 10 a.m.-4 p.m.
Wizard World, Inc. continues its 2016 schedule with its second trip to the Alliant Energy Center at Wizard World Madison, April 8-10. Doctor Who stars David Tennant and Billie Piper, Brett Dalton and Elizabeth Henstridge and Baseball Hall of Famer Robin Yount headline the roster of celebrity guests scheduled to attend the pop culture extravaganza, the sixth event on Wizard World’s calendar of comic con events in 2016. Tennant and Yount will attend on Saturday, April 9, only. Piper, Dalton and Henstridge are scheduled for Saturday and Sunday. Other well-known Wizard World Madison confirmed guests include Billy Boyd (The Lord of the Rings Trilogy, Master and Commander: The Far Side of the World) and Charles Martinet (“Super Mario”). Additional celebrities will be announced in the coming weeks. Wizard World is also the home of the most creative comics artists and writers on the planet. Artist Alley in Madison will feature Gerhard (“Cerebus”), Phil Ortiz (“The Simpsons,” “Muppet Babies”), Tom Cook (“He-Man,” “She-Ra”), Clinton Hobart (Disney fine art), Angel Unzueta (“Titans,” “The Flash”), Salvador Larroca (“Avengers vs. X-Men,” “Iron Man”), James O’Barr (“The Crow”), Guy GIlchrist (writer/cartoonist, “Nancy,” “Muppet Babies”), Michael Golden (“Batman,” “Spider-Man”), Mike Baron (“Nexus,” “The Punisher”) and many others. Wizard World Madison show hours are Friday, April 8, 3-8 p.m.; Saturday, April 9, 10 a.m.-7 p.m., Sunday, April 10, 10 a.m.-4 p.m.
Wizard World, Inc. has announced that for the first time, David Tennant and Matt Smith , the Tenth and Eleventh Doctors in the long-running science fiction series Doctor Who, will appear at a public event together when they attend Wizard World NYC—The Doctors on Saturday, April 16 at the PlayStation Theater (1515 Broadway) in Manhattan. Whovians will have the unique opportunity to meet one or both of these popular stars with a variety of VIP packages, available. Smith, who picked up as the Eleventh Doctor following Tennant, continued in the title role through 2013 began his acting career on stage, appearing in various popular London theatrical performances before landing the coveted role in “Doctor Who” in 2010. He received a BAFTA Award nomination in 2011 and his final episode, on Christmas Day, was BBC America’s largest audience ever, attesting to both the popularity of the series in America and Smith’s success in the role. Wizard World NYC—The Doctors show hours are 10 a.m. – 7 p.m. A limited exhibitor area will also be accessible to attendees who have purchased a VIP or solo photo op. CONtv, the new digital entertainment network devoted exclusively to the fanspace, will live stream Saturday’s top Q&A panels, including the one featuring Doctor Who stars David Tennant and Billie Piper (10:30-11:15 a.m ET) and another starring Arrow headliner Stephen Amell (3:30-4:15 p.m ET) from Wizard World Comic Con Philadelphia. Fans can sign up free at http://wizd.me/TennantLive or http://wizd.me/AmellLive to view the streams at the designated times. It marks the first time that Tennant and Piper have participated in a live streamed Q&A session; the appearance at the convention marks their first dual U.S. public signing and photo op appearance. It is also the first time that Stephen Amell has participated in a live streamed Q&A session. The live streams, titled “The Wibbly Wobbly Timey Wimey David Tennant And Billie Piper” and “Protecting Starling City with Stephen Amell,” are open to all fans who register for free at the links above. Tennant, who starred as the Tenth Doctor on the long-running series Doctor Who, will appear at Wizard World Comic Con Philadelphia on Saturday and Sunday, while Piper, who was his love Rose Tyler, will attend Saturday only. On site, the panel is open on site to Doctor Who VIP attendees only. Stephen Amell plays the title character in the CW’s hit series Arrow, based on the famous DC Comics superhero, The Green Arrow. Amell will appear at Wizard World Comic Con Philadelphia on Saturday and Sunday. The panel is open on site to all attendees, with VIP attendees receiving first entry. Seating is limited. David Tennant, who starred as the Tenth Doctor on the long-running series Doctor Who, and Billie Piper, who was his love Rose Tyler, will make their first dual U.S. public signing and photo op appearance at Wizard World Comic Con Philadelphia at the Pennsylvania Convention Center. Fans who purchase VIP admissions will be guaranteed autographs, photo ops and seating at the panel. It is unlikely general admission sales will be available. Piper’s career started at just 15 when she became the youngest artist to ever debut at number one; since then she has gone on to become one of Britain’s most beloved and acclaimed actresses winning over audiences, critics and award panels alike, covering almost every area of performance. In 2003, she was selected to play Alison in the BBC’s adaptation of The Miller’s Tale. The show was a success and less than a year later she had landed parts in several films and BBC 2’s Bella and the Boys, a drama focusing on three residents of a children’s care home. The pair join a strong lineup of stars at Wizard World Comic Con Philadelphia which already includes Ben McKenzie, Nathan Fillion, Stephen Amell, Hayley Atwell, Karl Urban, Danny Trejo, Penn Badgley, Michael Cudlitz, Lacey Chabert and more. 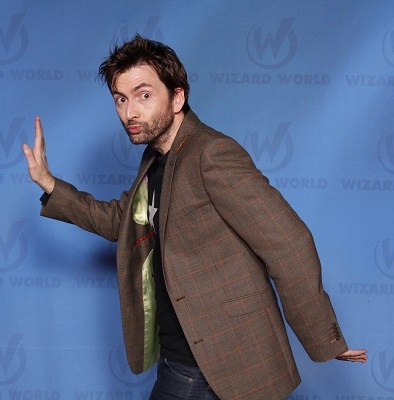 Wizard World Comic Con Philadelphia show hours are Thursday, May 7, 3-8 p.m.; Friday, May 8, 12-7 p.m.; Saturday, May 9, 10 a.m.-7 p.m.; and Sunday, May 10, 11 a.m.-5 p.m.
David Tennant, who starred as the “Tenth Doctor” on the long-running series Doctor Who will attend Wizard World Comic Con Raleigh on Saturday and Sunday, March 14-15 at the Raleigh Convention Cente. It marks the first Wizard World appearance for the veteran British actor. He will greet fans, sign autographs, pose for photo ops and conduct an interactive Q&A panel. Fans who purchase VIP tickets, will be guaranteed autographs, photo ops and seating at the panel. Tennant joins a strong lineup of stars at Wizard World Comic Con Raleigh which already includes Ian Somerhalder, William Shatner, Tyler Hoechlin, Liam McIntyre, WWE Diva Eva Marie, John Schneider and The Walking Dead stars Sonequa Martin-Green, Sarah Wayne Callies and Seth Gilliam. Wizard World Comic Con Raleigh show hours are Friday, March 13, 3-8 p.m.; Saturday, March 14, 10 a.m.-7 p.m., Sunday, March 15, 11 a.m.-5 p.m.
Marvel has announced that it has added David Tennant to Netflix‘s A.K.A. Jessica Jones. Tennant will be playing the villainous Kilgrave. Tennant is best known for his run as the Tenth Doctor in the international BBC hit Doctor Who. A.K.A. He recently was seen in Broadchurch and the American adaptation Gracepoint. Jessica Jones will run for 13 episodes following Marvel’s first Netflix series Daredevil. Tennant joins Krysten Ritter and Mike Colter who will be playing Jessica Jones and Luke Cage. Kilgrave is most likely Zebediah Killgrave, also known as the Purple Man, a character who has had history with both Jessica Jones and Luke Cage in Marvel comics’ various series. The character has the ability to use mind control using pheromones and also has accelerated healing. The character is most known for his purple skin. 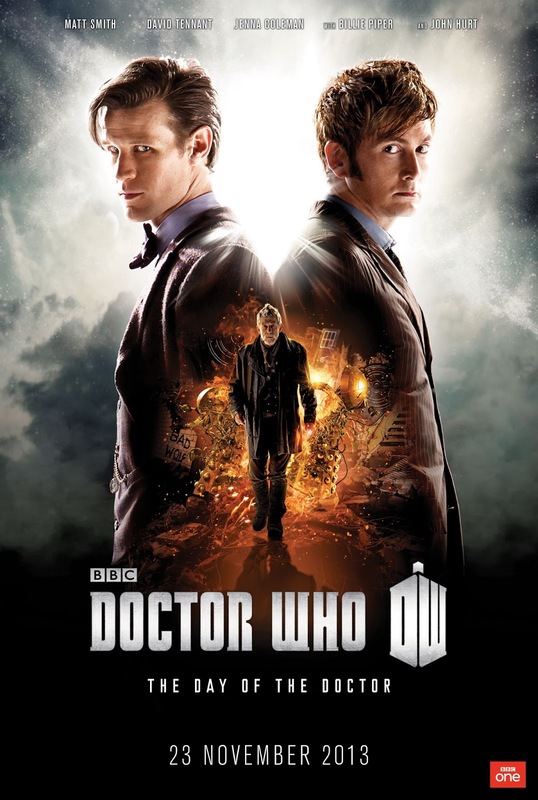 With much anticipation and build up, the celebration of Doctor Who‘s 50th anniversary has come with the world simulcast premiere of The Day of the Doctor. The episode has the tough task of moving the series forward (through space and time) at the same time celebrating 50 years. Small touches like a scarf, the walls of the Tardis, or a fez do exactly that. Small touches that add a lot for long time fans, but not enough to ruin it for those who might be relatively new. In 2013, something terrible is awakening in London’s National Gallery; in 1562, a murderous plot is afoot in Elizabethan England; and somewhere in space an ancient battle reaches its devastating conclusion. With the show opening on Matt Smith‘s Doctor and Clara, the television show immediately exuded its grand scale movie vibe. We’re thrown into the war to end all wars, the Time War, never seen, but often hinted at during the television series. We’re thrown to Gallifrey, with the Daleks laying siege to the city and John Hurt‘s Doctor on a mission to grab a weapon that will end the war. Hurt’s Doctor is one who is weary, and tired, just wanting to end the war and willing to do whatever it takes to make that happen, even if it means the destruction of his people. The choices he must make and actions has made are clear. Eventually Matt Smith’s Doctor meets David Tennant‘s Doctor in a bit of humor that brings the whimsy of the show to the forefront of the show. Eventually Hurt joins the two in a great back and forth that’s really funny, and overall entertaining. That whimsy and humor moves to seriousness as the three Doctors debate their actions and how many they killed to end the war. What’s interesting about the show is that even with all the build up and expectation the show would focus on the Time War, really the story is a time travel adventure involving an invasion by Zygons and Elizabeth. The mix of stories and times is great actually creating a show that isn’t dark, but has a tone that mixes the best of the series. But all of that time travel fun leads up to the moment we’ve all wondered about, the end of the Time War and the Doctor’s decision. The logic that builds up to the decision that haunts the Doctor is explored and the emotion and pain is emoted by Hurt, an experienced and accomplished actor. But, there’s a twist to it all, and that’s something I don’t want to spoil. Hurt’s pain and emotion throughout the episode is what drives and makes the show a fantastic one. What shouldn’t have worked, worked. Three Doctors, the warrior, the hero and the doctor, all together for a special episode that lives up to it all. It was a magic episode with a message about tough decisions, genocide and hope. It was a special episode, a worldwide event, one that felt like an event. On to another 50 years.